Although there are many factors that contribute to your ability to attain the job of your dreams, creating and distributing a high-quality resume is particularly important. Although there is certainly room for creativity with respect to the format of your resume, it is almost always advisable to put your contact information at the top. While the rationale for this type of formatting is diverse, one of the primary reasons you should place your contact data here is because it enables the prospective employer to find the data necessary to call you if she or he deems you worthy of an interview. 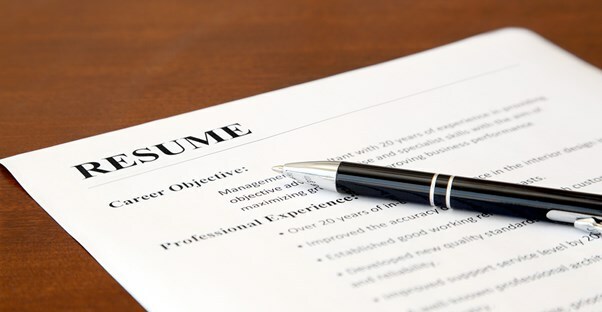 Including an objective in your resume is important and advantageous for many reasons, including the fact that it provides the employer with a clear understanding of your personal and/or professional goals. When you create your objective, keep it short-no more than two or three sentences. Make sure that the objectives you outline pertain directly to the job for which you're applying. For example, if you're applying to be the manager of a new Starbucks, your objective could include something like "To apply and optimize my food management skills in order to build a business brand and increase conversion rates." Following your objective, you want to include information regarding your educational background. Include the schools you've attended, any degrees you've attained, and any honors or awards you've earned. The "reference" section of the resume formatting process remains controversial given the divergent views regarding how it should be included. Some people argue that it is not necessary to include a references section in your resume or to even inform the prospective employer that the references are available. Instead, these individuals argue that you should have a separate document with a list of references to offer employers in the event that references are requested. In this case, you would not have a references section at all. However, there are other individuals who argue that some mentioning of references should be made. If you choose this option, you would include a brief statement formatted thus: "References Available Upon Request." If you are attempting to make yourself the most marketable job candidate possible, you should know that the production of an excellent resume can help you do so. When you begin formatting your resume, implement the aforementioned strategies so that you are the best candidate on paper-then follow up with an excellent in-person interview to help you land the job of your dreams. Good luck!